Our client had been planning her dream kitchen for many years. All she was waiting for was her husband to build the extension! In 2017, with the extension finally up and the wall to the old kitchen removed, it was time to turn her plans to reality. 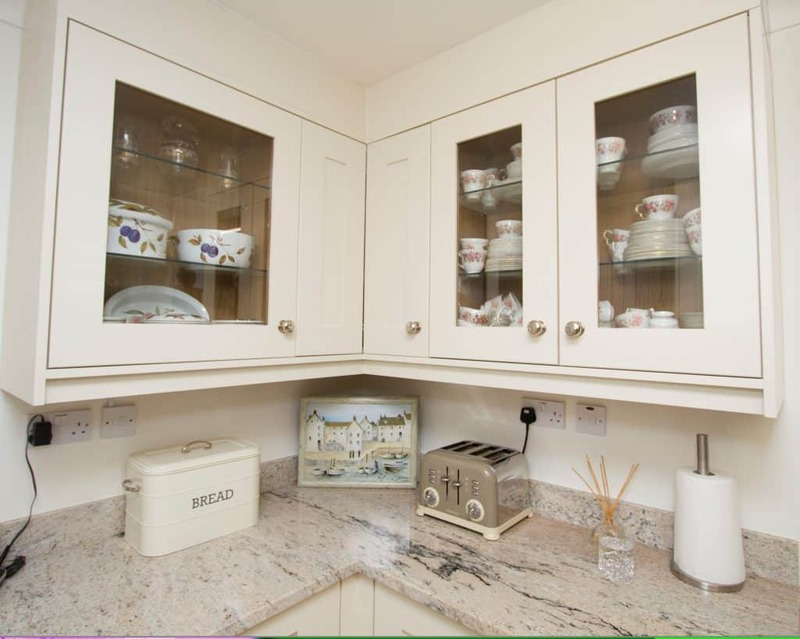 She wanted a bespoke kitchen in a traditional style and had put together the design. We converted her plans and ideas into drawings and colour illustrations, plus we gave our advice regarding the overall project. 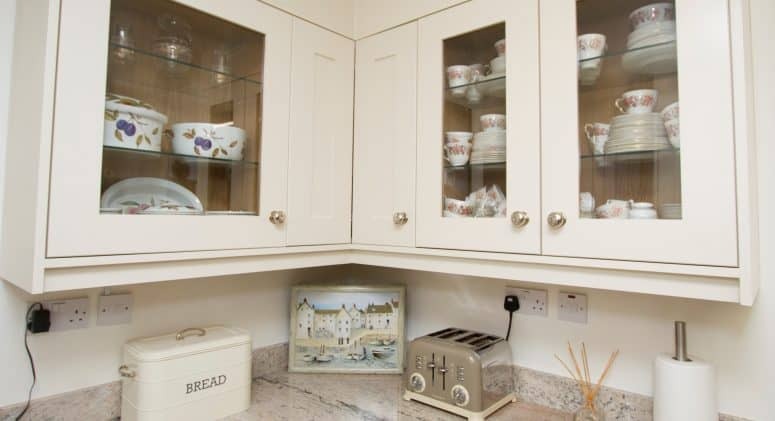 We made the kitchen cabinets and painted them in Farrow & Ball Clunch. The island unit was left unpainted and had a clear lacquer applied.